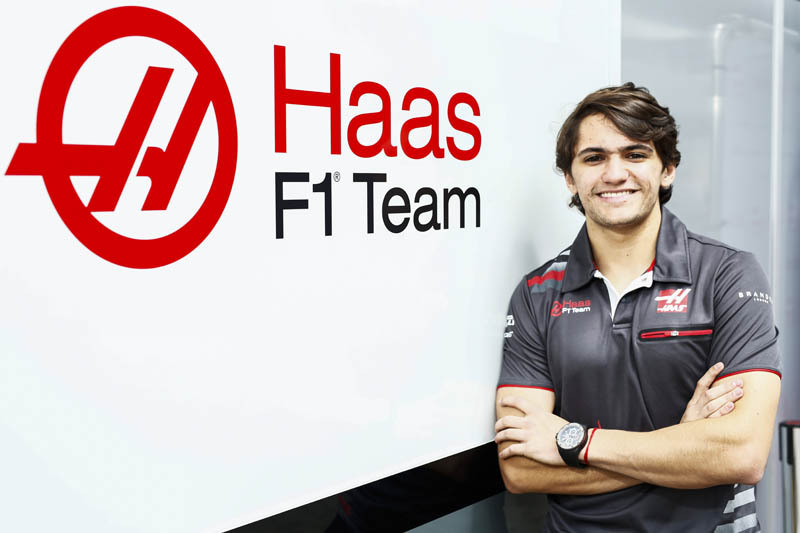 The 22-year-old, a grandson of two-time World Champion and double Indianapolis 500 winner Emerson Fittipaldi, will become an integral part of Haas fulfilling testing duties in support of the team's 2019 driver line-up. Fittipaldi will join Romain Grosjean and Kevin Magnussen at this weekend's Brazilian Grand Prix and at the Abu Dhabi Grand Prix, in advance of driving the VF-18 on the opening day of Pirelli's two-day test. "I'm pleased to welcome Pietro Fittipaldi to Haas F1 Team and we look forward to working with him," said Guenther Steiner. "He brings a championship-winning pedigree from his junior open-wheel career, and more recently he has acquitted himself well running in the IndyCar series. We're happy to provide Pietro his first test in a Formula One car off the back of those experiences. His subsequent role testing, and the feedback he'll provide in support of our 2019 campaign, will no doubt further contribute to Haas F1 Team's growth and development in Formula One." "I'm extremely appreciative to have secured a role with Haas F1 Team as their test driver," sadded Fittipaldi, who made six starts with Dale Coyne Racing in the 2018 IndyCar Series. "I'd like to thank Gene Haas and Guenther Steiner for the opportunity to join the team. They've done an incredible job in Formula One, and to ask me to play a role in their continued success is naturally very exciting. I'm looking forward to getting behind the wheel of the VF-18 in Abu Dhabi. I'll carry that experience forward into 2019, and hopefully into a race seat in Formula One in the future." Fittipaldi rose through America's karting ranks from 2006-10 before making his debut in stock cars in 2011, where he was crowned champion and ‘Rookie of the Year' in the NASCAR Whelen All American Series for Limited Late Models. A move to the Late Models category the following season earned another ‘Rookie of the Year' title for the Brazilian. A switch to open-wheel racing for 2013, and a move to Europe, saw Fittipaldi compete in the British-based BRDC Formula 4 Championship and the BARC Formula Renault Championship. A dominating 2014 season in the Protyre Formula Renault Championship delivered a title with 10 wins from 15 starts. He graduated to the FIA Formula 3 European Championship in 2016, scoring three podiums, and raced in the MRF Challenge Formula 2000 Championship, winning the series courtesy of four victories from nine podium finishes. Another title followed when he won the Formula V8 3.5 Championship in 2017 with six wins, 10 podiums, and a series-record 10 pole positions. Having competed in April's IndyCar Series event in Phoenix with Dale Coyne Racing, Fittipaldi's 2018 race program was curtailed after breaking both legs in an accident in May's World Endurance Championship 6 Hours of Circuit de Spa-Francorchamps. He returned to his IndyCar commitments at the end of July, making five more starts with a best finish of ninth place at the Grand Prix of Portland in September.